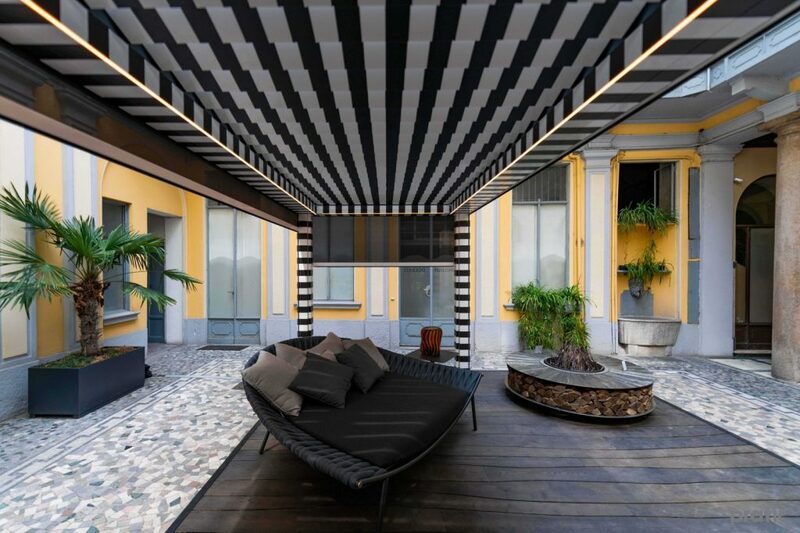 Brera Concept by Pratic is the new pergola with retractable blades that lets you see the sky and shelters you from the sun. 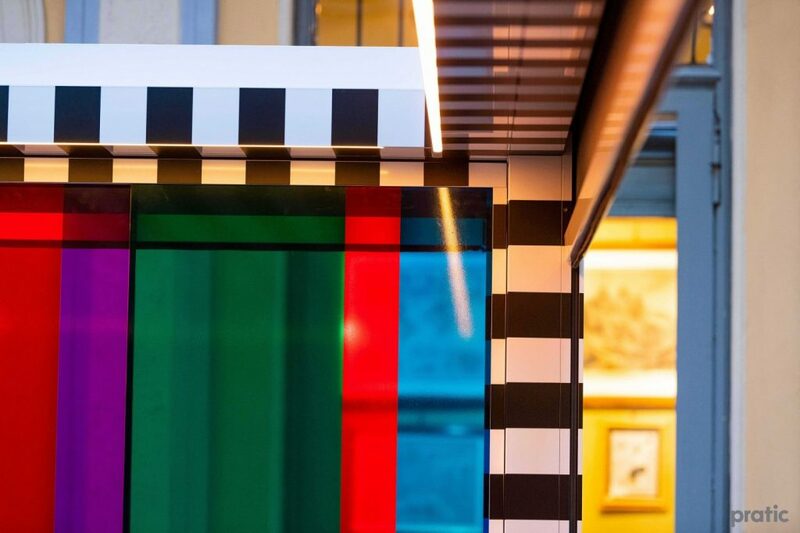 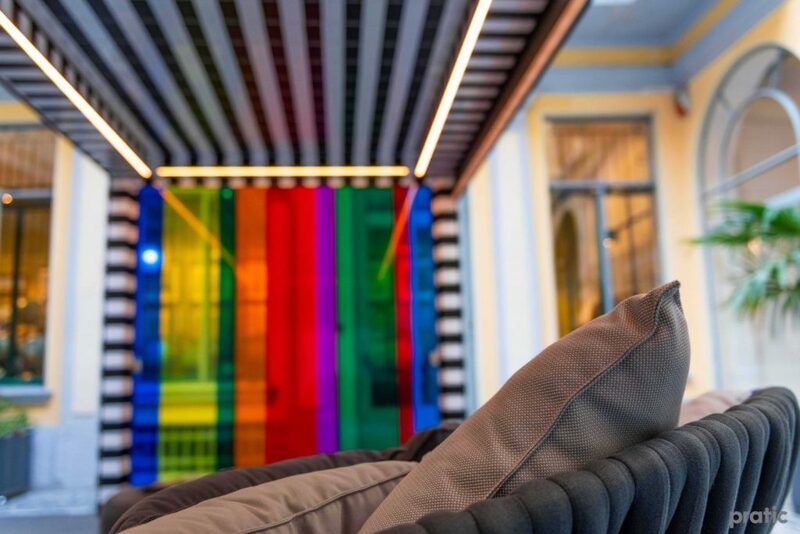 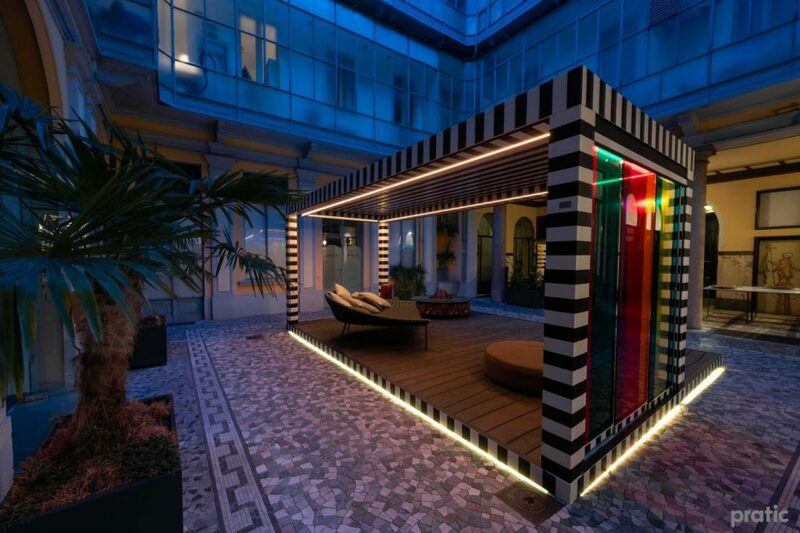 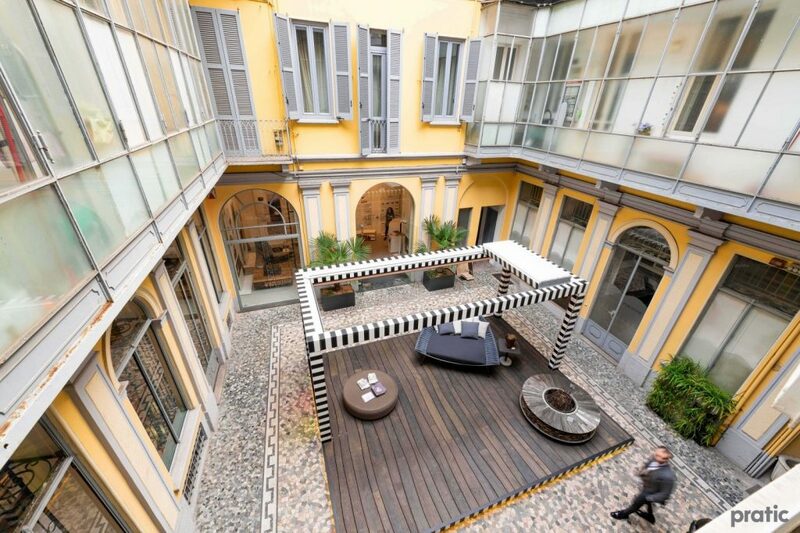 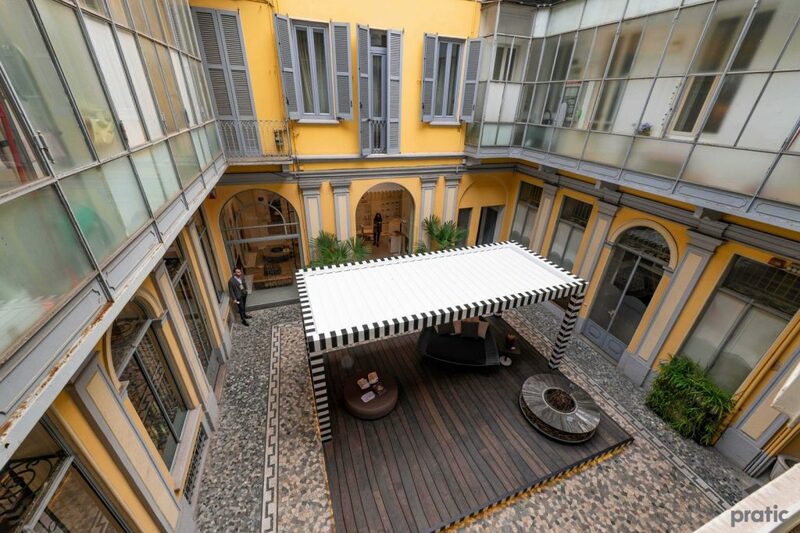 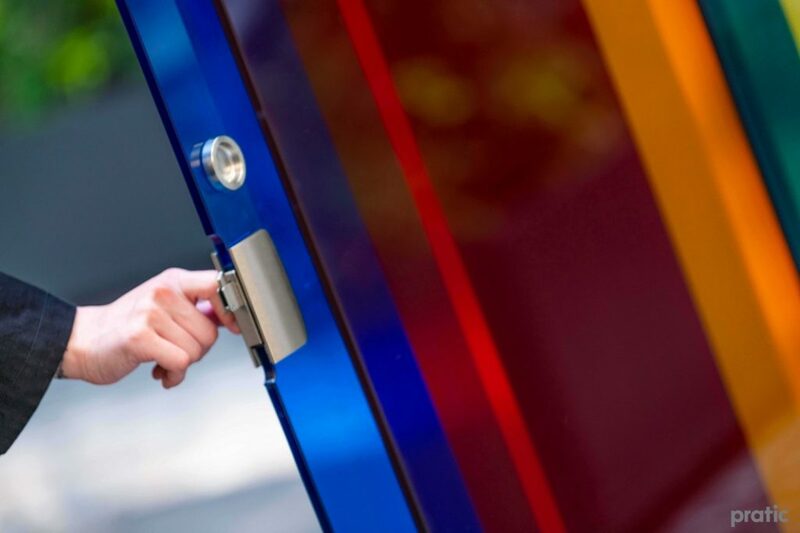 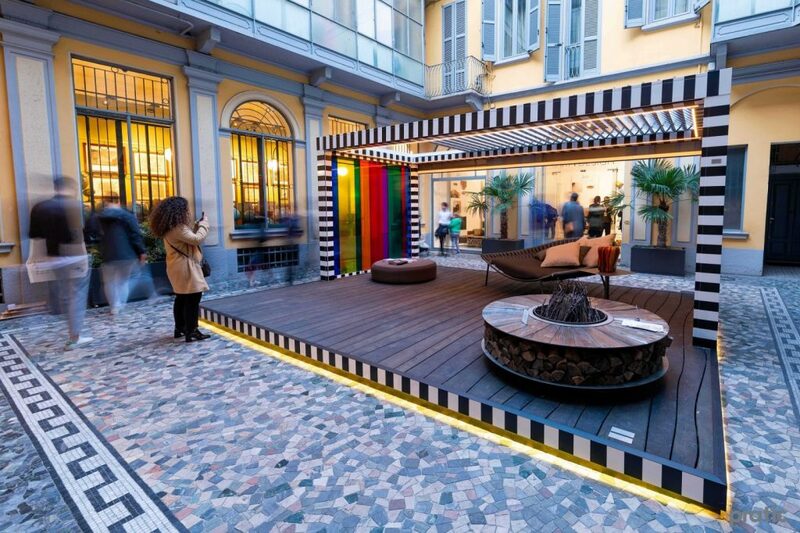 The aesthetic slant for the Milan Design Week has been curated by Marco Viola and takes inspiration from the visual expression of Daniel Buren, one of the most important figures in contemporary conceptual art; with his installations of colourful stripes, he has redesigned urban space all over the world. 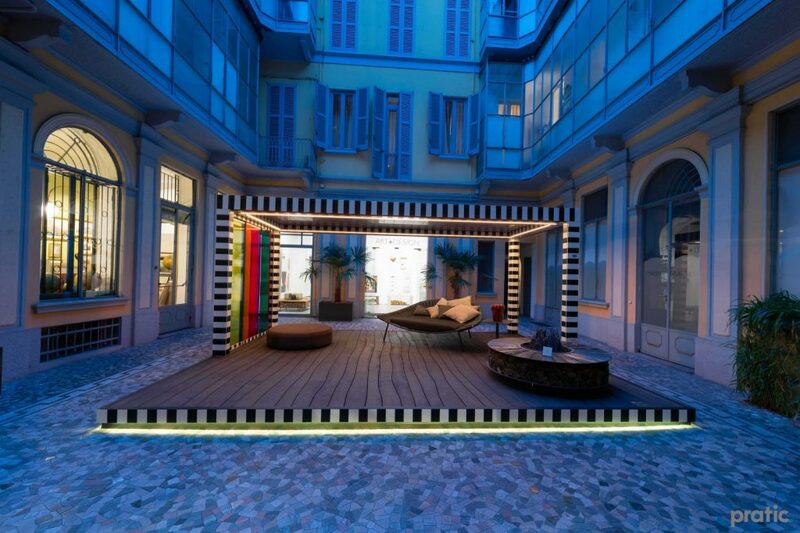 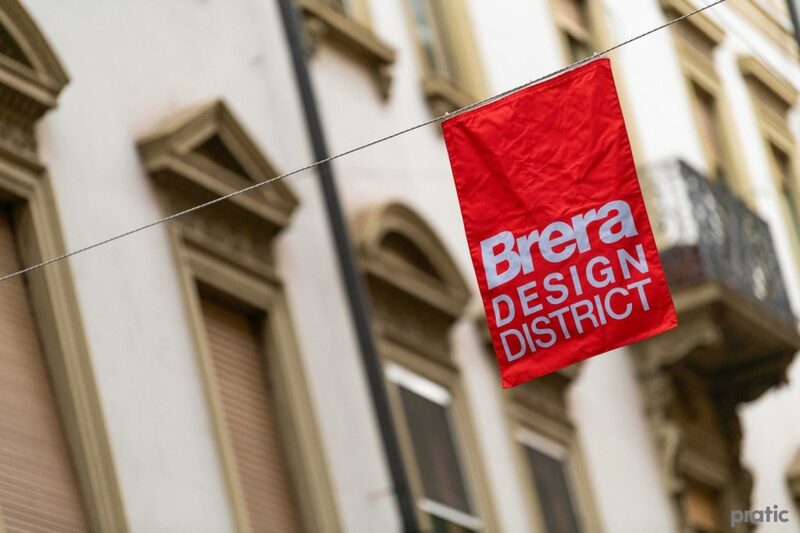 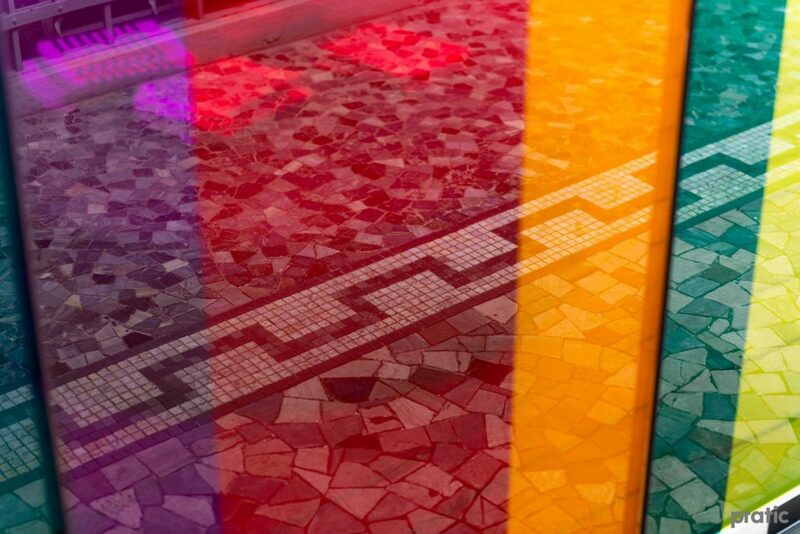 With the Brera Concept project situated in Galleria Cattai, via Brera 4, Pratic proposes an installation conceived to celebrate the language of art and colour in an outdoor setting using geometrical patterns and the interaction between different styles to transcend traditional boundaries and express optimism and freedom of expression. 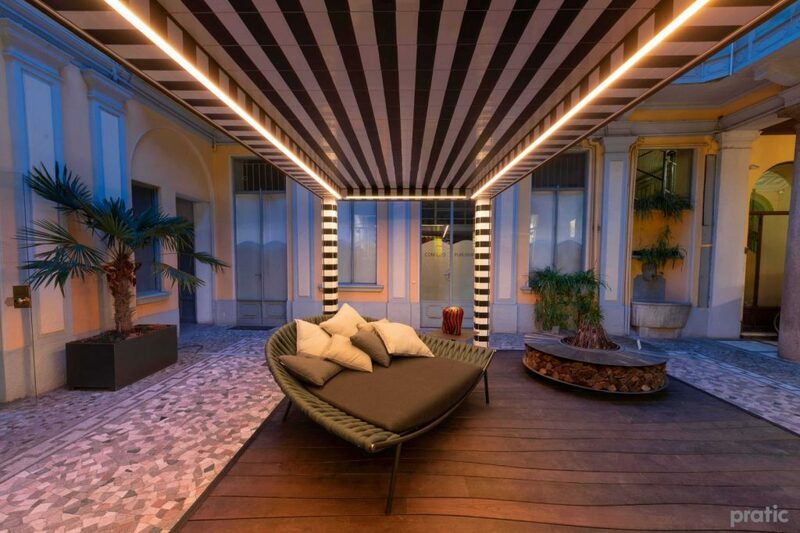 The Brera Concept project by Pratic has been further elevated by the sophisticated elements used to fit it out: the Roda furnishings with a minimalist contemporary vibe, an AK 47 fire pit and gorgeous natural flooring by Bolefloor with exquisite wooden tables that follow the natural curves of the wood.